Four special Greek islands for a family vacation or romantic holidays. The Sporades islands are geographically located between the Greek mainland and the greek islands of North Eastern Aegean, almost in the center of the Aegean Sea. Each of these four small islands has its special character and amazing nature. 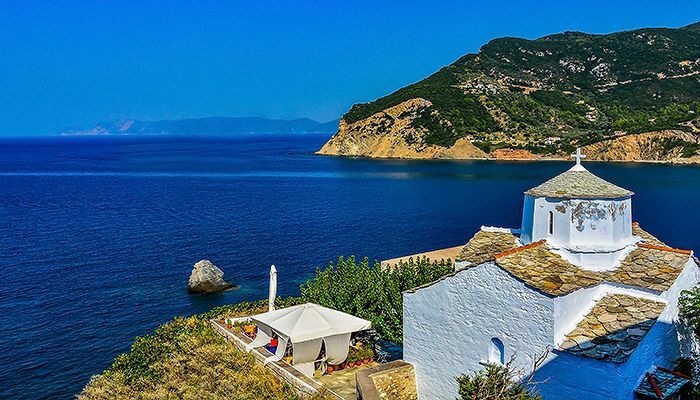 The cosmopolitan island of Skiathos is the most popular, the green island of Skopelos and relaxing island of Alonissos have more family atmosphere, and secluded island of Skyros is the least known but equally beautiful. This itinerary idea is just a suggestion and can be tailored according to your wishes. It is merely an example of the places and destinations you can visit in a single week of your cruise. 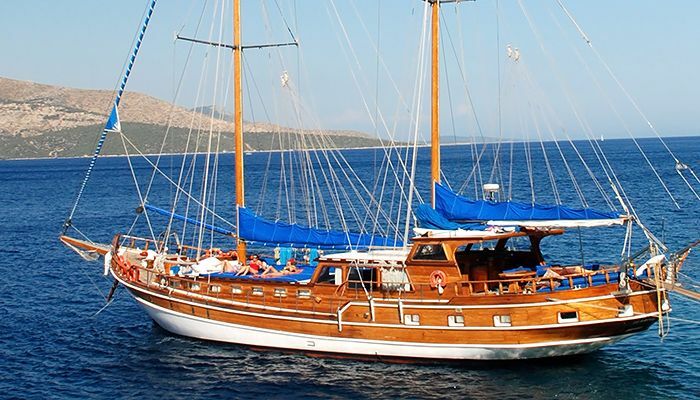 You can board the gulet and begin your cruise in the Oreoi harbor on the island of Evia (also called Euboea), the second largest Greek island. 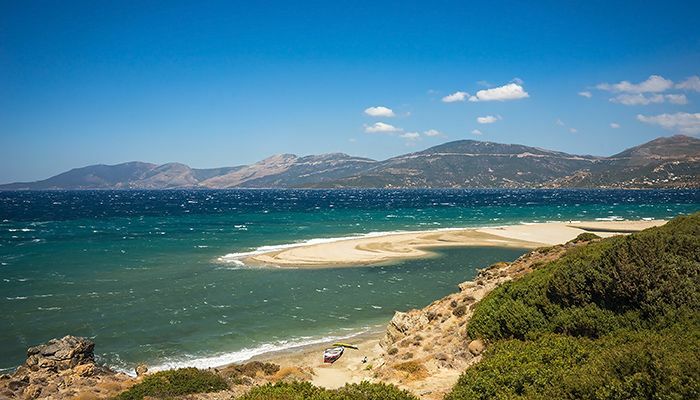 Evia has wonderful beaches, a pleasant climate, renowned monuments, many thermal sources and tasty food. The first destination of the cruise is the island of Skopelos. 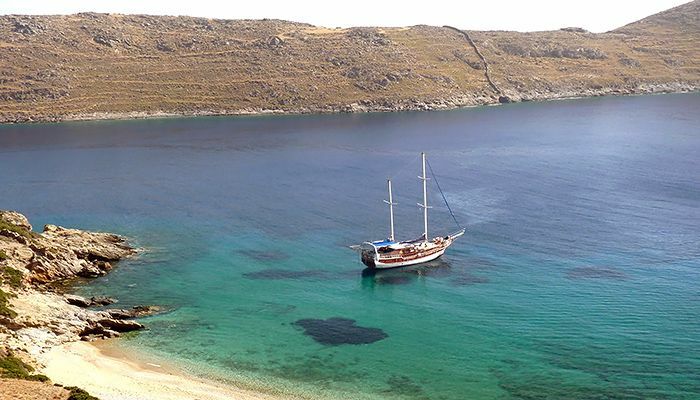 On the way you can stop on the tiny islet of Pontikonisi for lunch, swimming, sunbathing or snorkeling. 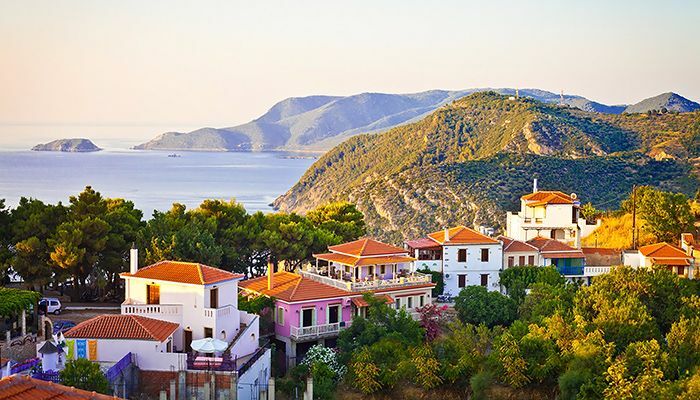 Skopelos distinguishes for the lush greenery, the exotic beaches, and the picturesque villages. The island attracts mostly families and romantic couples. Nice beaches with crystal clear water are found all around its coastline. Skopelos Town and Glossa, two main villages with island’s special architecture are constructed on top of a hill and offer a great view of the Aegean sea. Next island on the route is Alonissos, rich with rugged natural landscapes and surrounded by small islands scattered around the archipelagos. It is a lovely island with cozy beaches, pine forests, olive groves and orchards. Traditional picturesque villages dot the countryside of Alonissos and make great places for an evening leisure walks. Here you can unwind and enjoy nature in all its splendour. The island hosts National Marine Park, one of the largest protected marine areas in Europe and a refuge for numerous plants, rare seabirds, dolphins and the Mediterranean monk seal. Skiros is the southernmost, the largest but also the least famous island of the Sporades. It is located in the center of the Aegean sea and is a place of special character and vivid tradition. 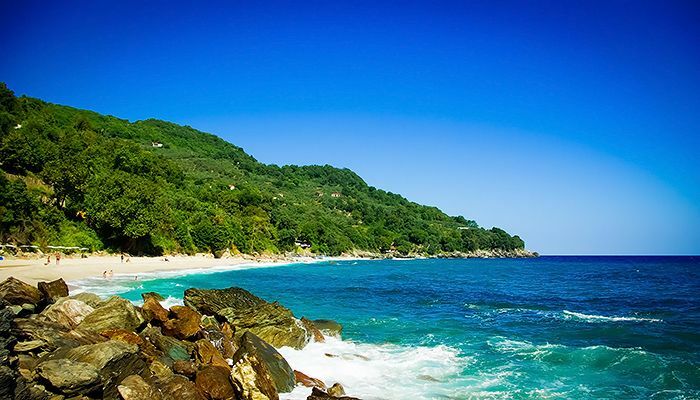 The island has secluded beaches, crystal clear waters, pine tree forests, and nice hiking trails. It is ideal for blissful moments and relaxation. In the town of Chora, you can admire the unique traditional architecture, a Byzantine Castle and the historical monastery of Saint George. 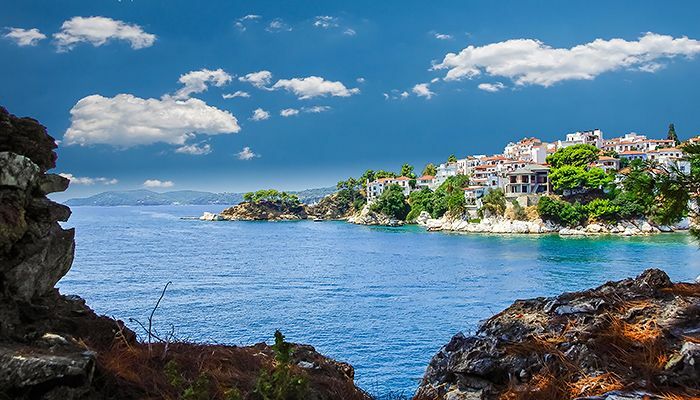 The last of the island on the route, Skiathos, is the most cosmopolitan island and the busiest member of the Sporades group. The island is unspoilt and picturesque, truly a paradise on Earth, with lush pine forests, crystal-clear azure waters and more than 60 beautiful clean beaches. The most famous is Koukounaries beach, which has been declared the third most beautiful beach in the Mediterranean. The island is great for family vacation, but its bustling and vivid nightlife also attracts a lot of young visitors. Before returning back to Oreoi you can stop by the beautiful traditional village Trikeri that is situated at the southern tip of the Pelion peninsula. The village was built on a rocky hill and gives an impression of being and island. Once an important naval center, Trikeri is beautiful for the old captains’ mansions and the decorated churches.